Although the cost of weddings has been going up and up, it appears that in 2018, the amount couples spend on their nuptials could fall. 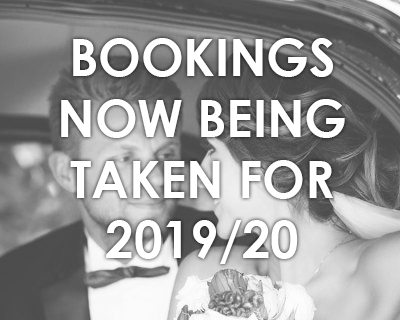 Bidvine recently conducted a survey of over 2,000 of the wedding service providers that feature on its site, including photographers, caterers and entertainment providers, who all feel that couples are going to be cutting their budgets in 2018 as a result of Brexit. This year, the average cost of a wedding came in at £26,989, but 65 per cent of those questioned are expecting people to be more cautious with their budgets next year, largely due to economic concerns following the Brexit vote. Co-founder of the site Russ Morgan said that the belief that Brexit will impact on wedding budgets in the UK is “surprising”. “You wouldn’t think that a political event like leaving the EU would have an impact on how British people choose to get married,” he stated. Looking back at how wedding trends have changed in the past decade, the site noted that there has been a shift towards fine dining and three-course sit-down meals as opposed to buffets in recent years, as well as more couples opting for a live band in place of a DJ. Of course, arriving in style to your ceremony is always going to be important, so finding the best wedding cars in Manchester is a must before your big day. There are some wedding trends that couples may want to avoid when planning their ceremony, such as butterfly releases. Last month, the Butterfly Conservation Society urged couples to avoid this current trend because it can lead to the spread of disease in butterfly populations.